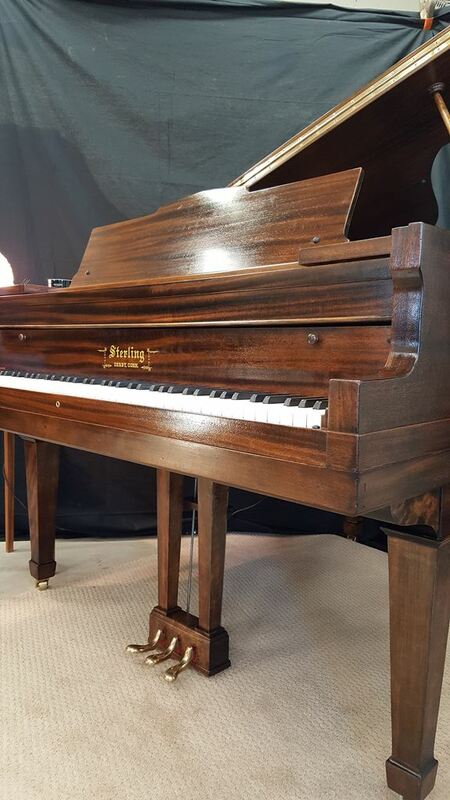 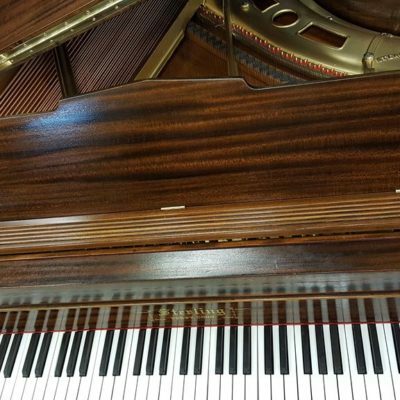 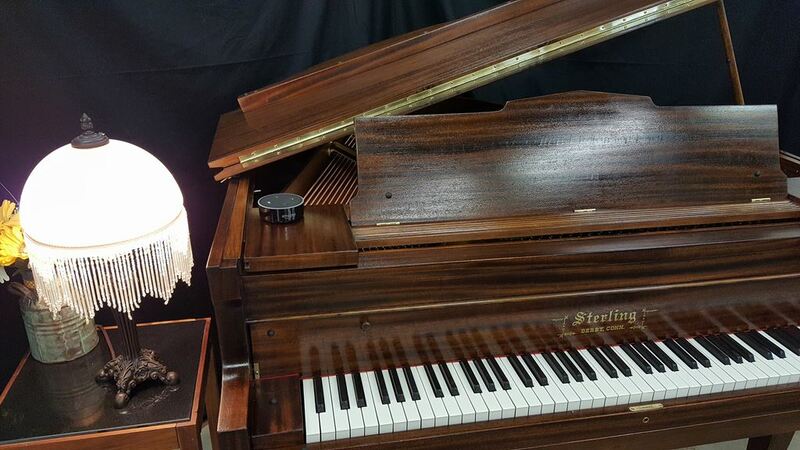 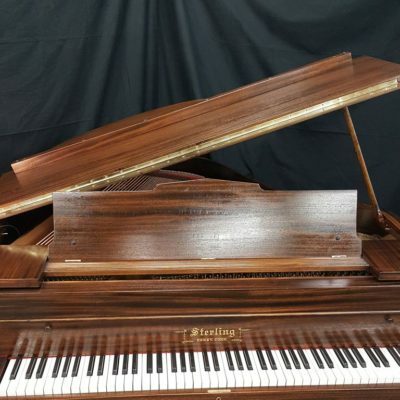 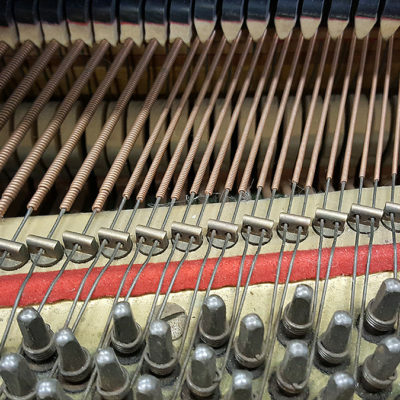 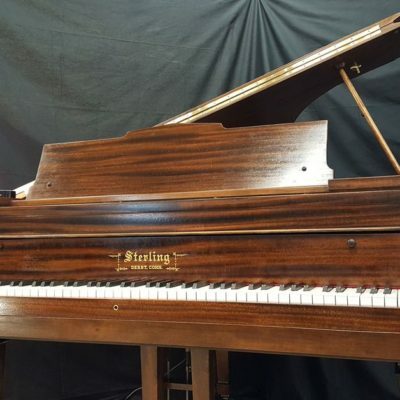 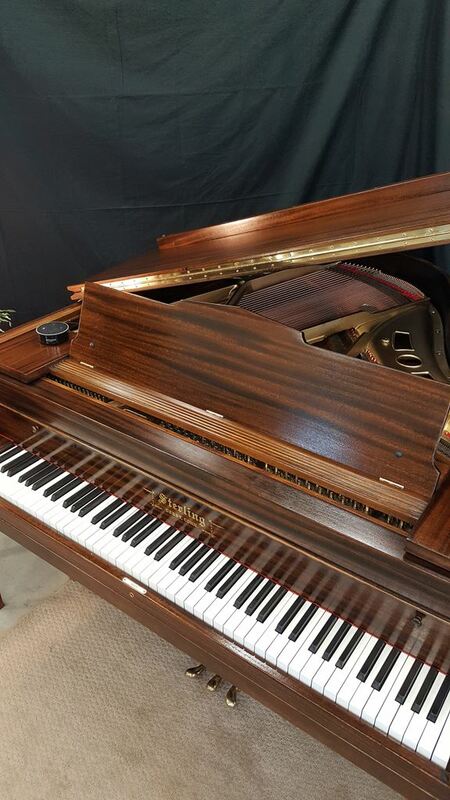 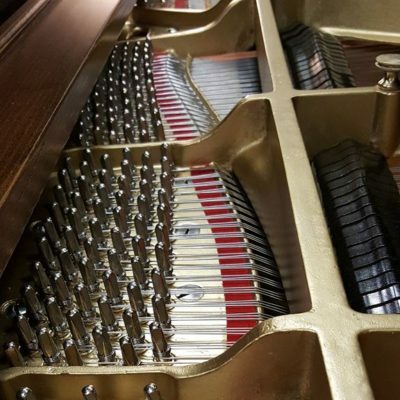 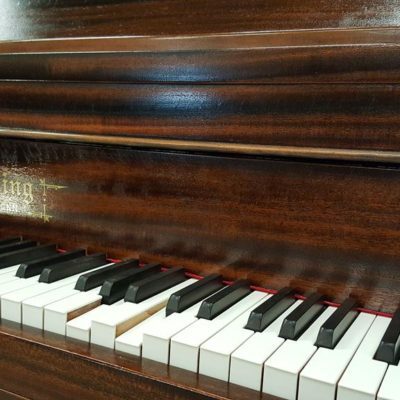 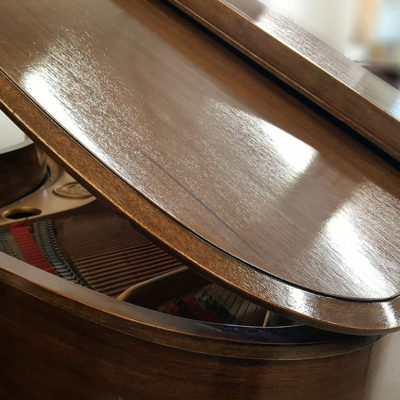 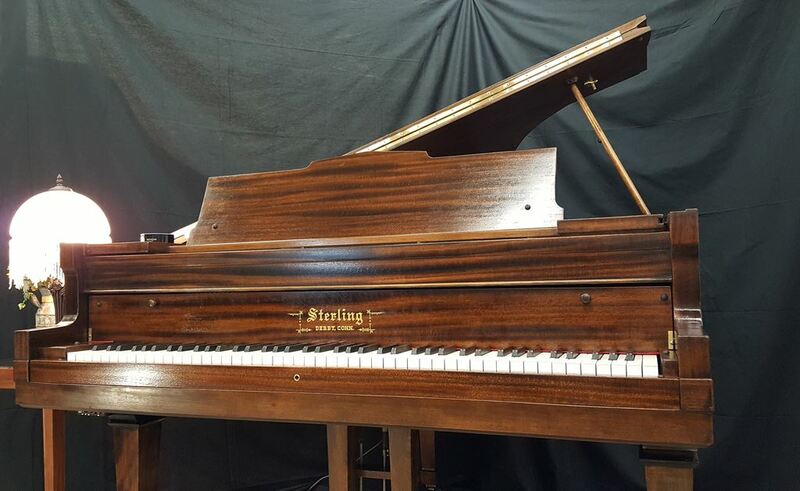 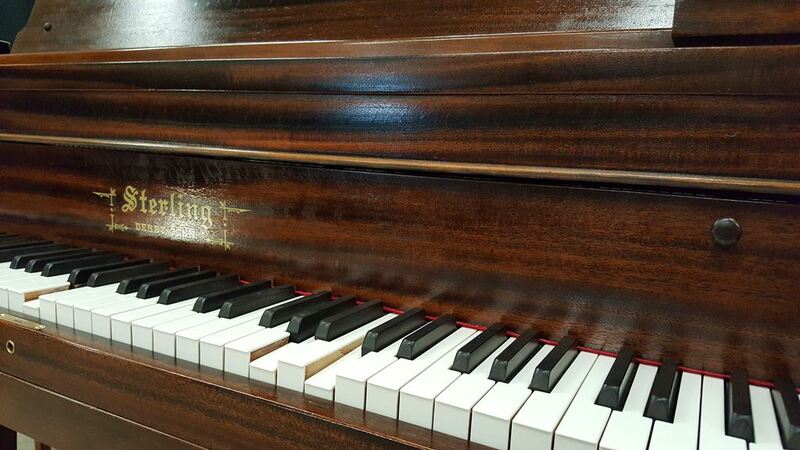 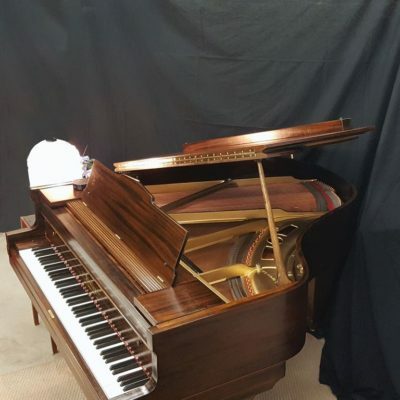 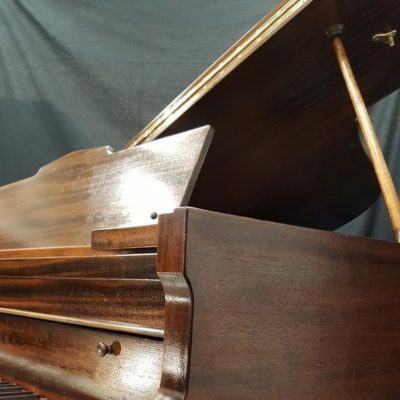 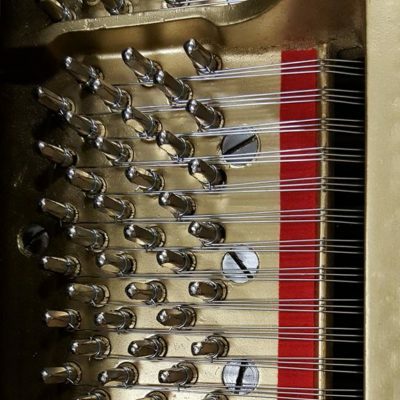 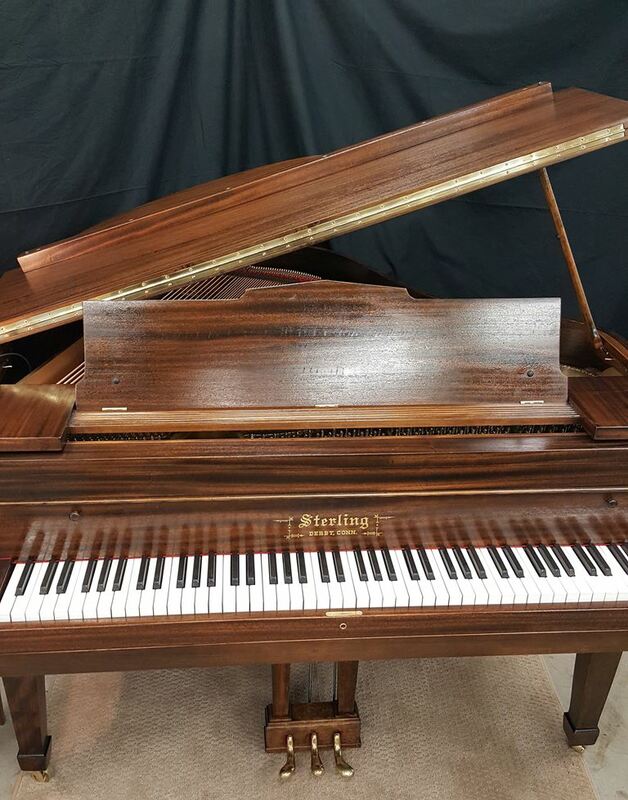 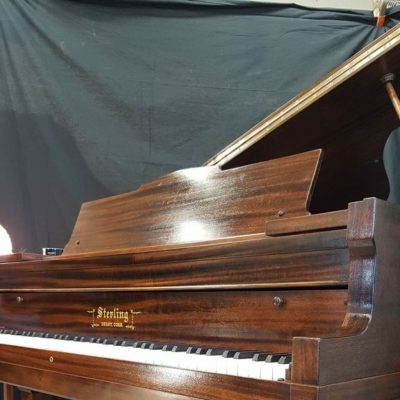 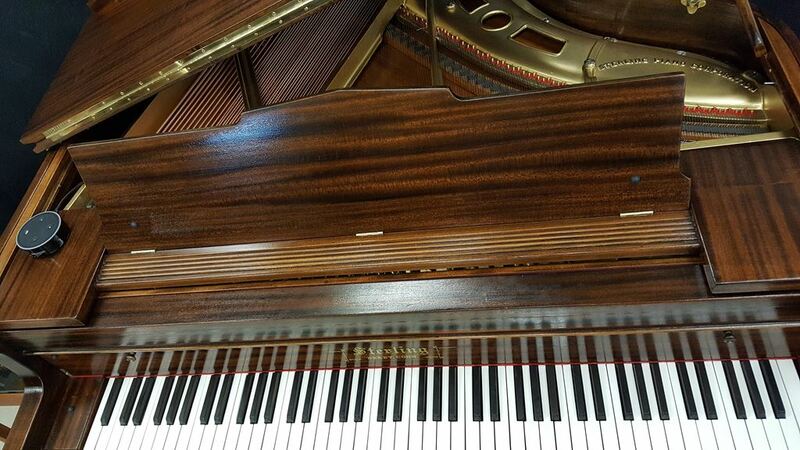 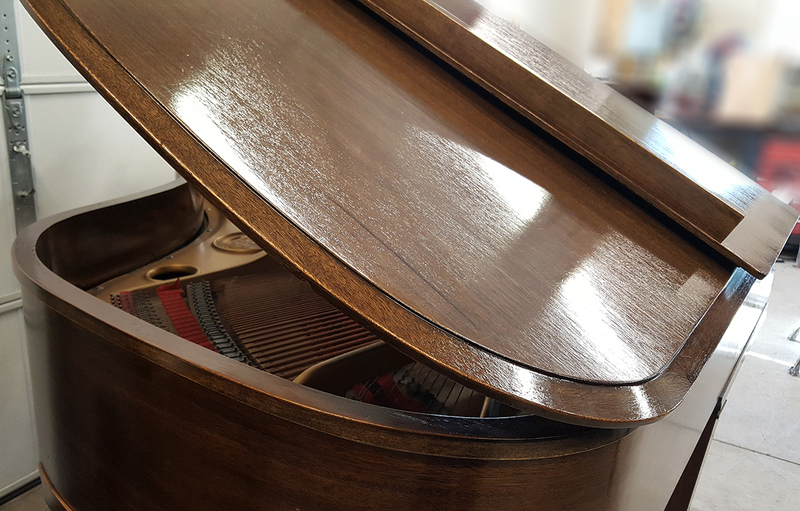 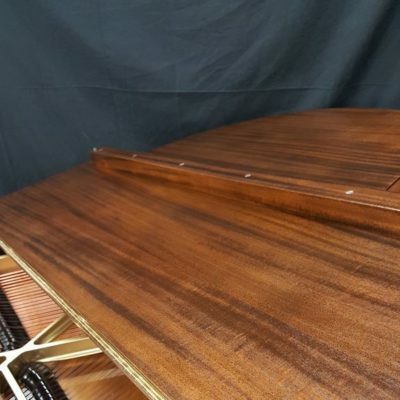 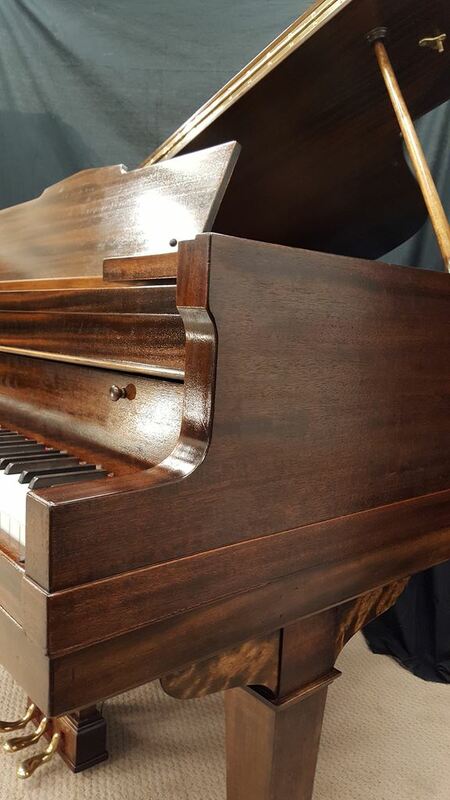 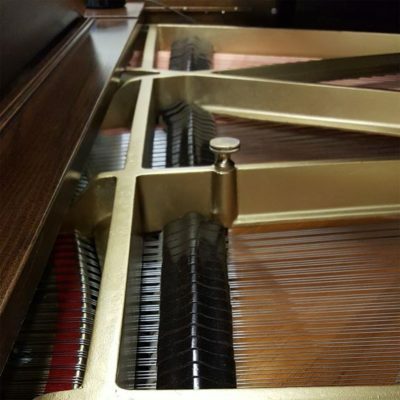 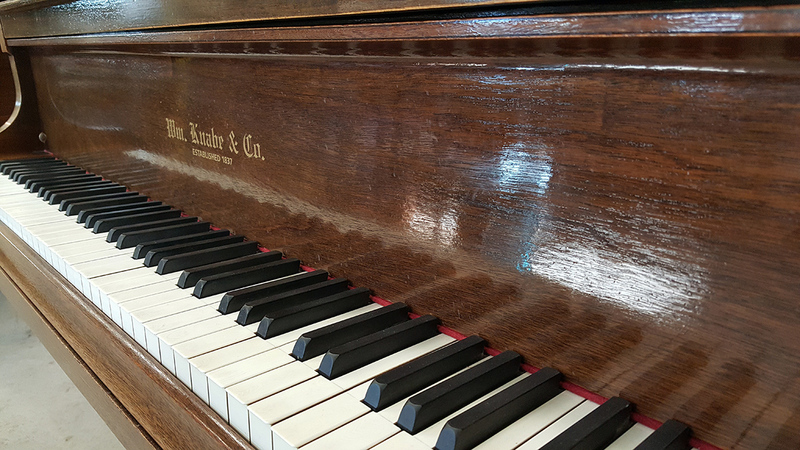 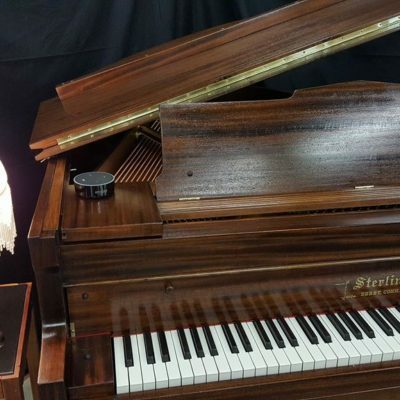 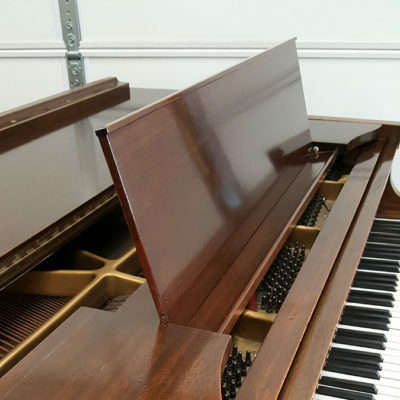 While the main thrust of Accutone Piano Service’s business is in repairing, maintaining, and restoring instruments owned by our customers, we are pleased to be able to offer a small number of specially selected, hand-picked, fully-restored instruments for sale. 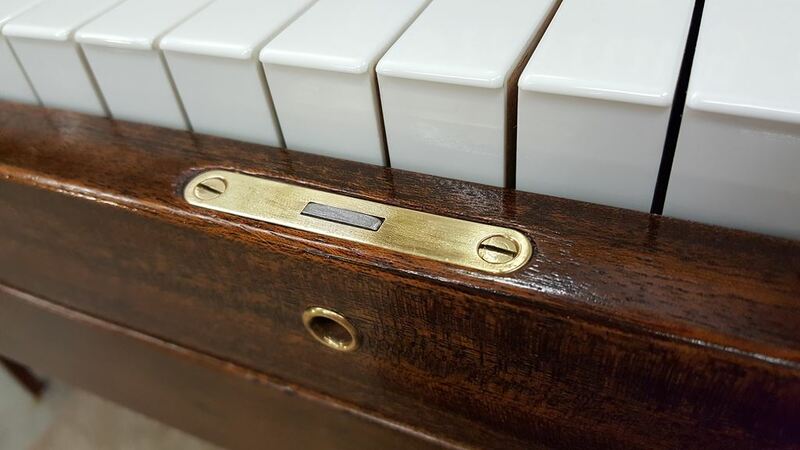 Note: If you are interested in having a digital player system installed in your existing vintage or modern piano, please visit our PNOmation3 information page. 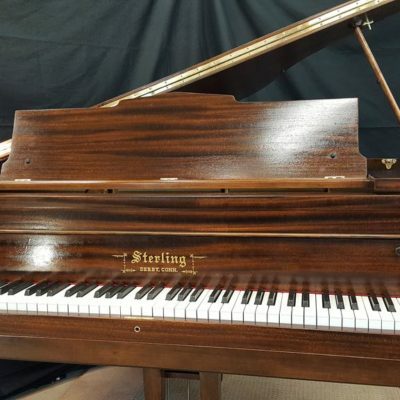 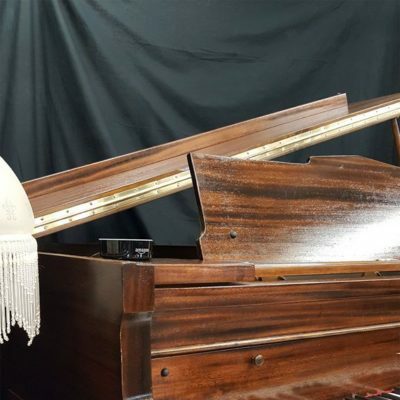 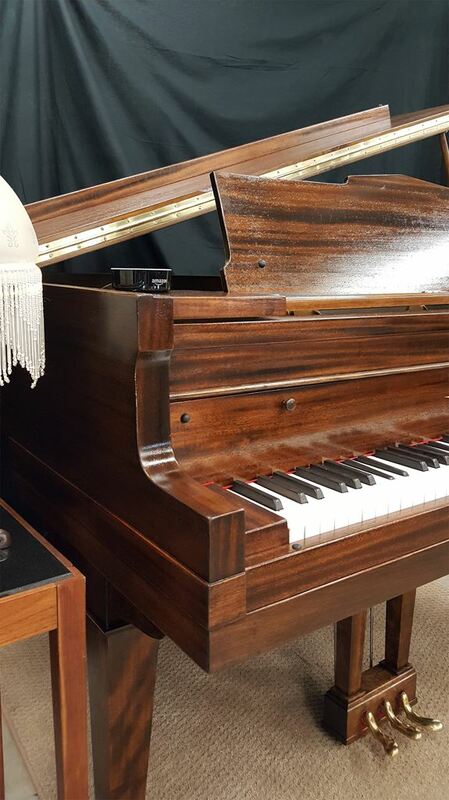 Currently available is this beautiful 1930 Sterling Grand piano that has been fully restored inside and out, and has been equipped with the PNOmation3 Player system. 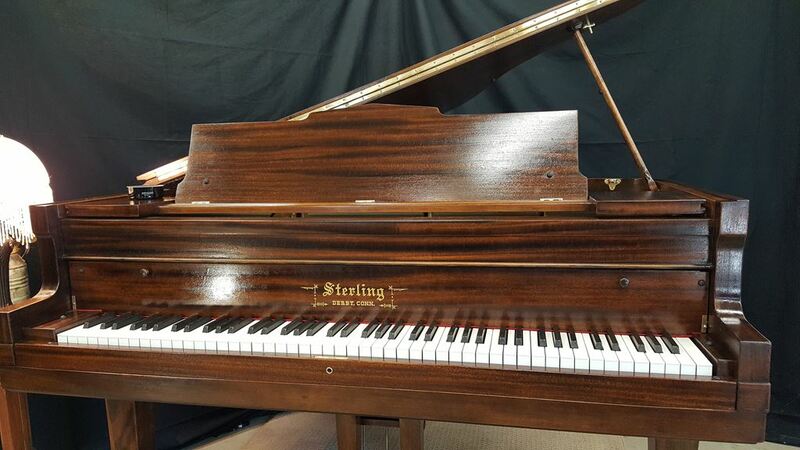 The Sterling Piano company in Derby, CT, was well-known for building pianos of very high quality. 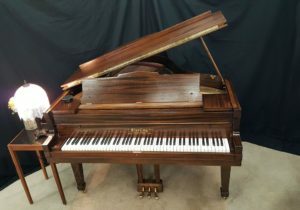 The company was founded by Charles A. 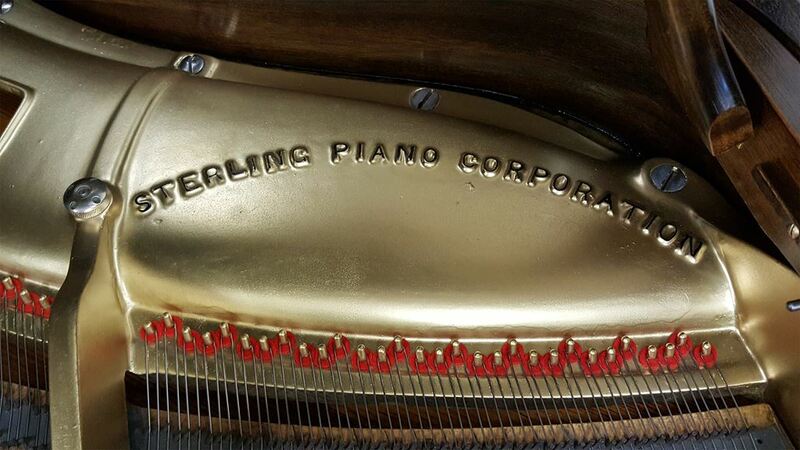 Sterling in 1866, and they continued to build quality pianos for 100 years, until 1966. 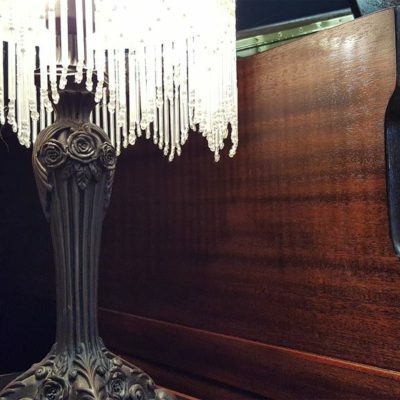 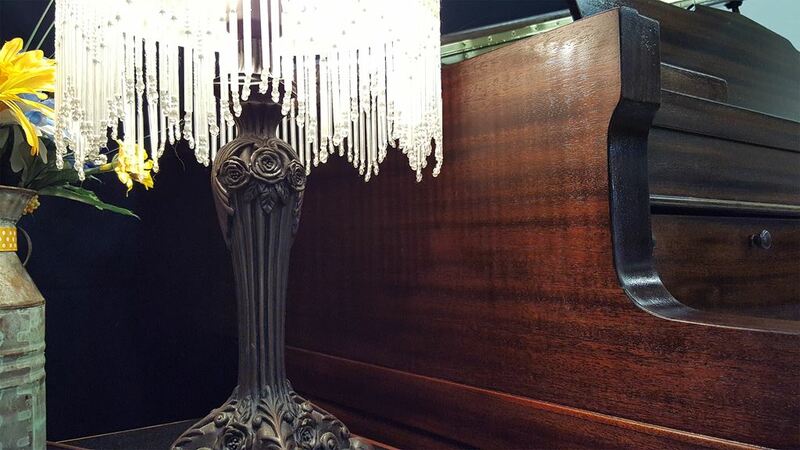 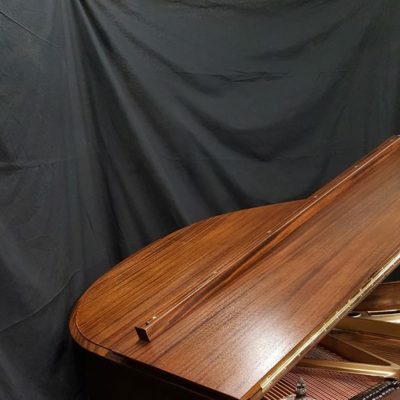 This piano is about 5’3″, but sounds much larger than its dimensions would indicate. 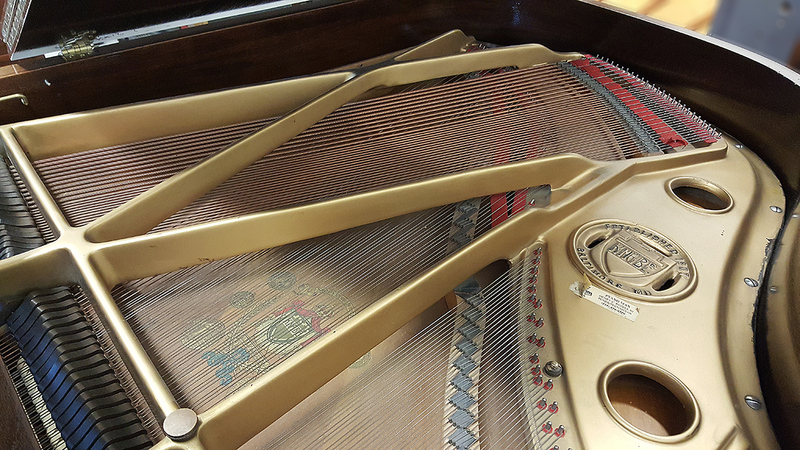 It has a brilliantly crisp tone, with a particularly-impressive upper tenor and treble section. 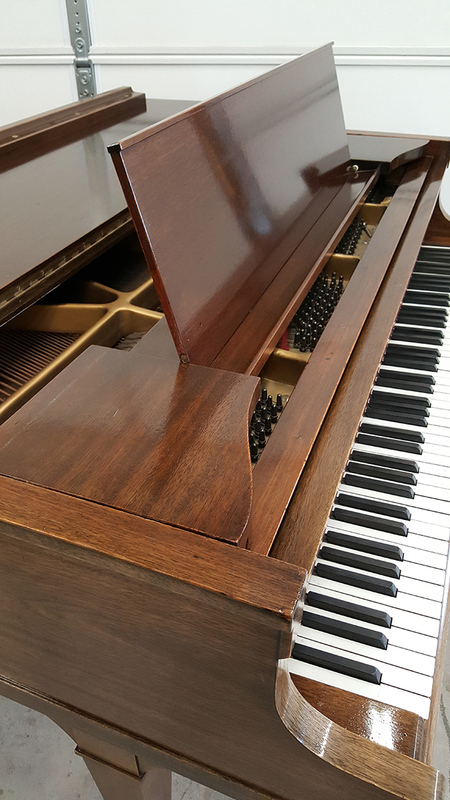 It is a top-quality piece in construction and materials, comparable to the best-known brands such as Knabe, Weber and Chickering. 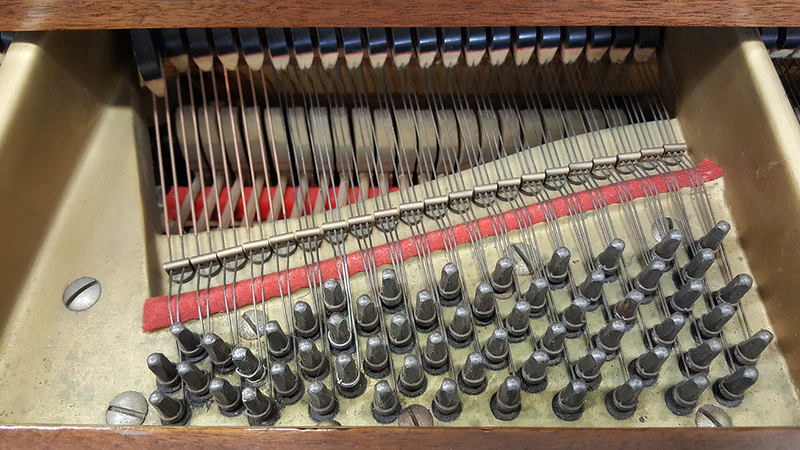 The piano has a rich history: during the restoration, we discovered evidence that the piano was played often by someone who really knew what they were doing, and that it only later fell into dis-use. 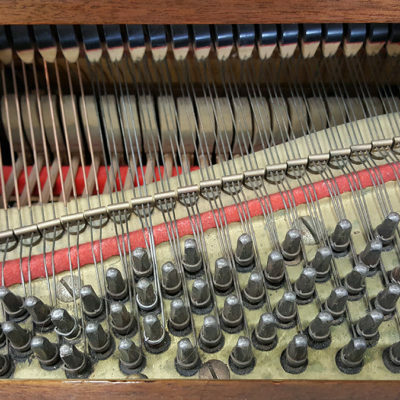 It was apparent that its early owners took very good care of the instrument during its early life. 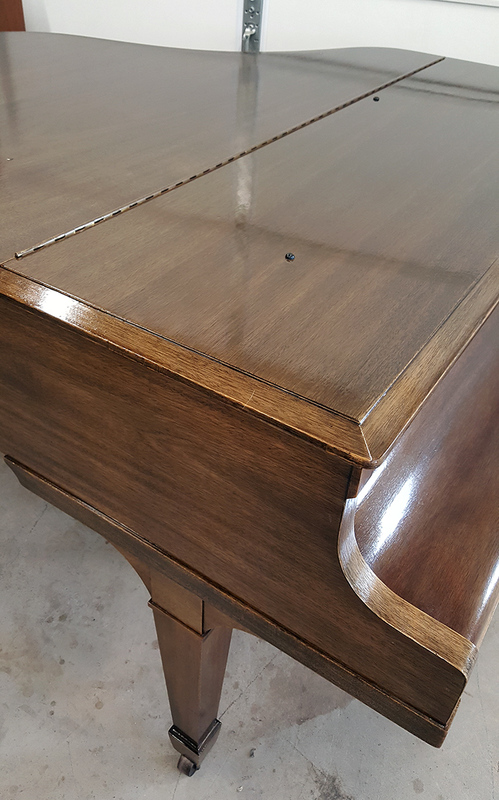 The new finish is a hand-rubbed, natural, tung oil finish over rich mahogany. 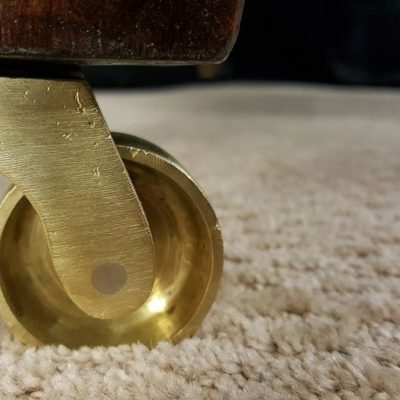 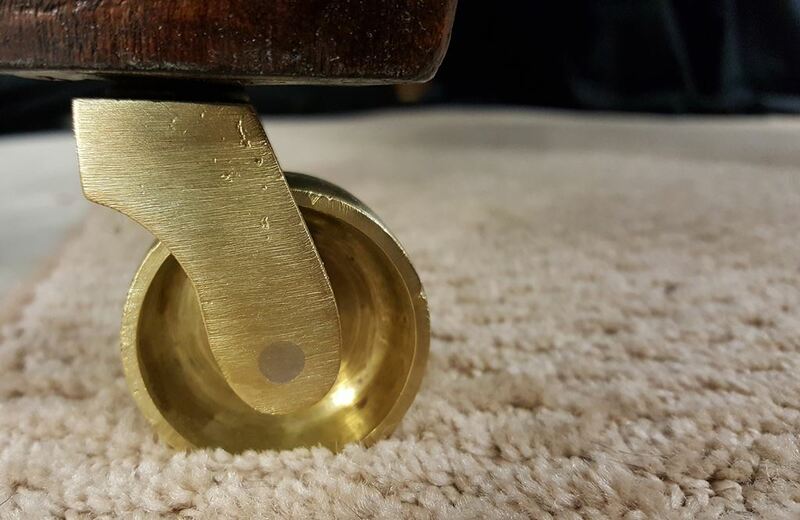 Its brass pieces – castors, hinges, etc. 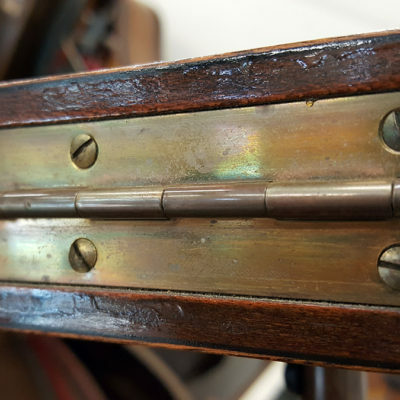 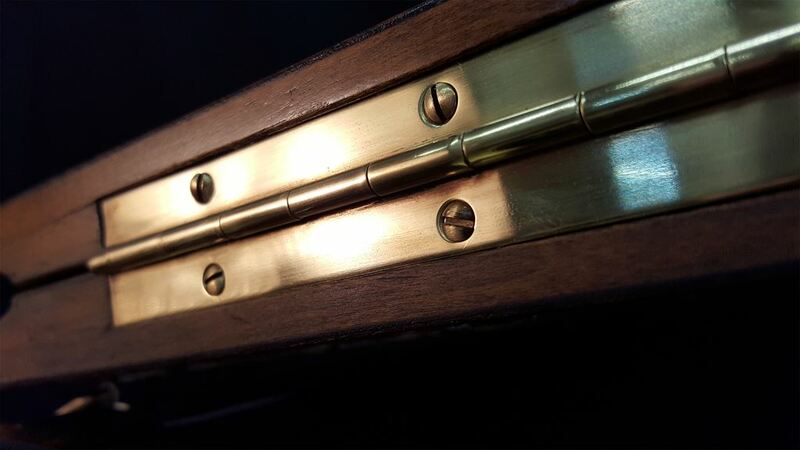 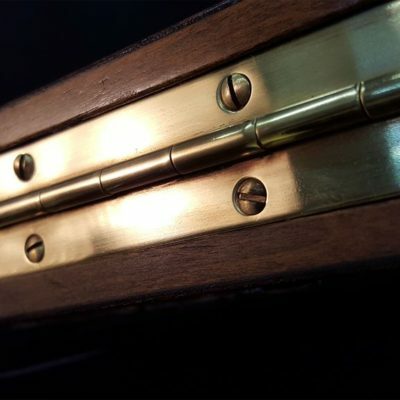 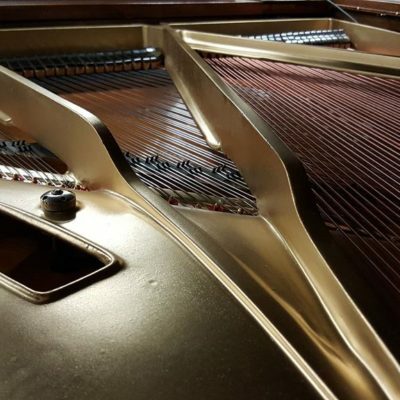 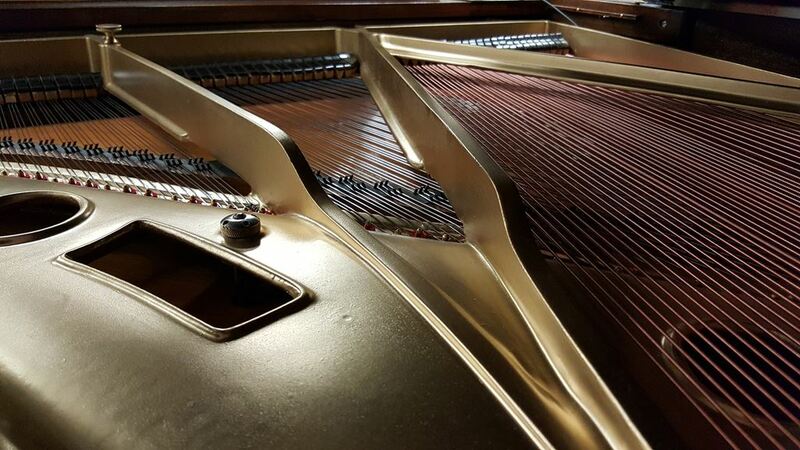 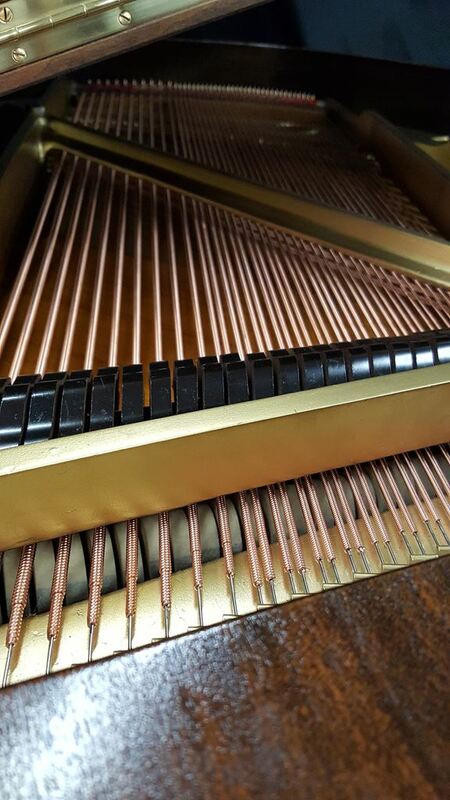 – are all made of solid brass, as opposed to a brass coating over other metals, as is the case with many modern pianos, and have been returned to their original appearance. 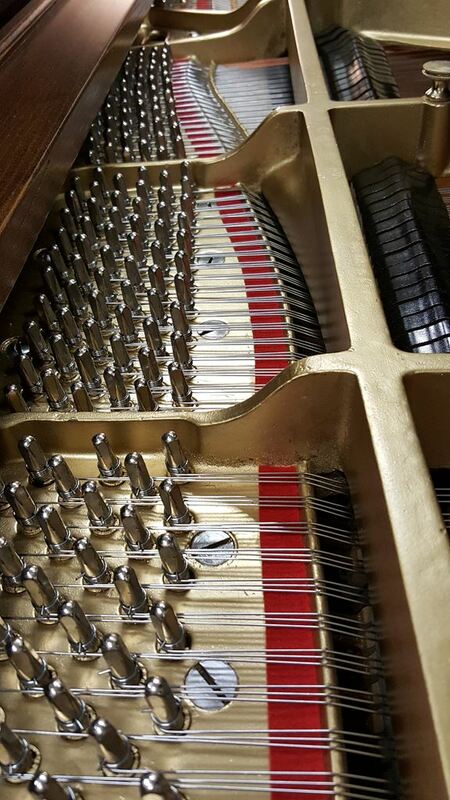 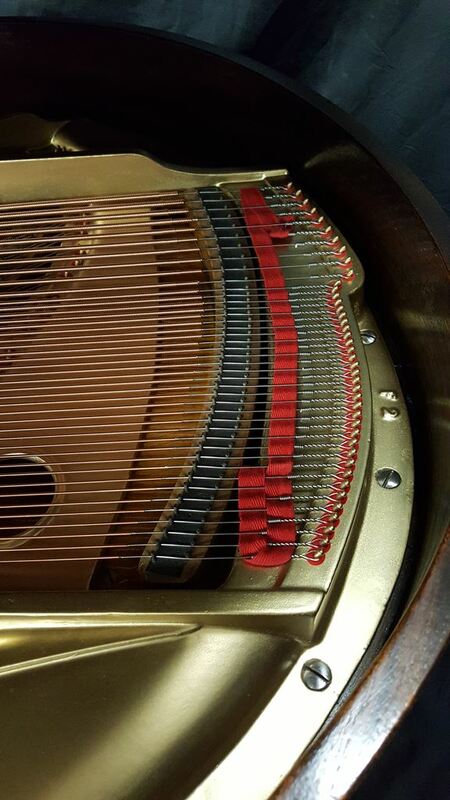 The piano’s action has a wonderful, balanced feel, and new hammers have been installed. 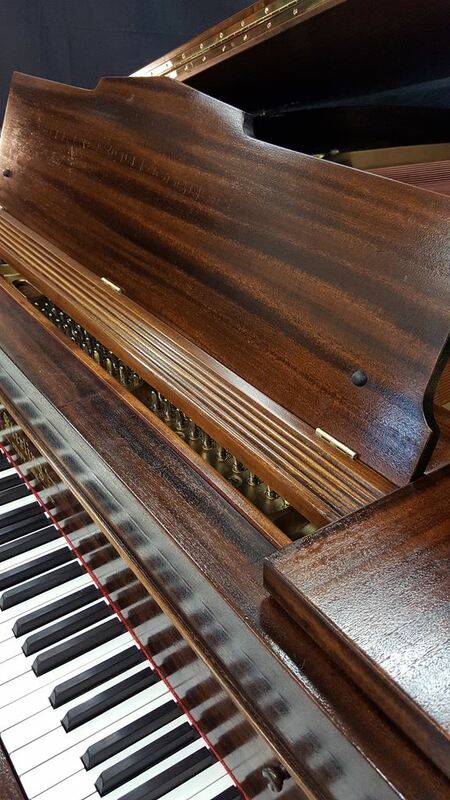 The QRS PNOmation3 player system that we have installed breathes an extra dimension of life into this instrument. 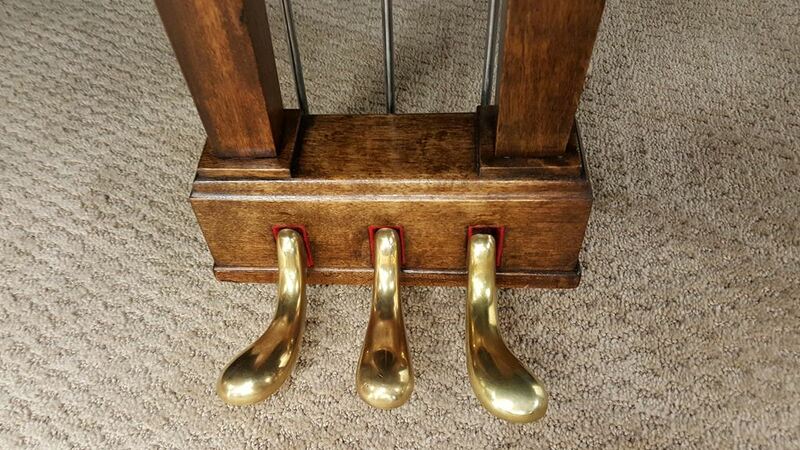 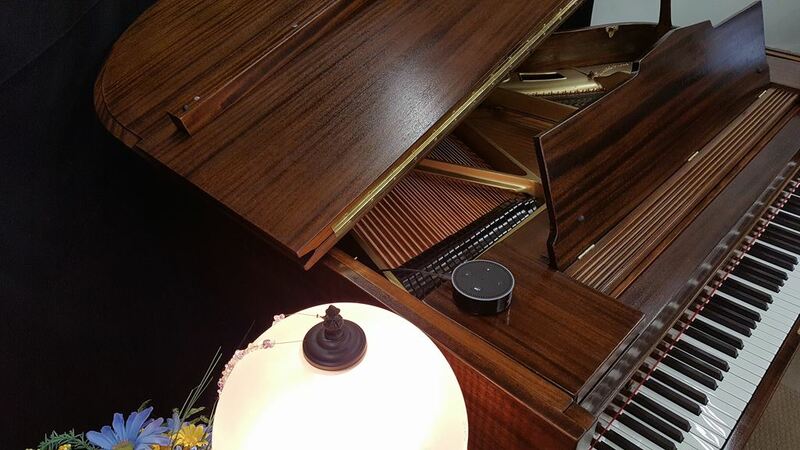 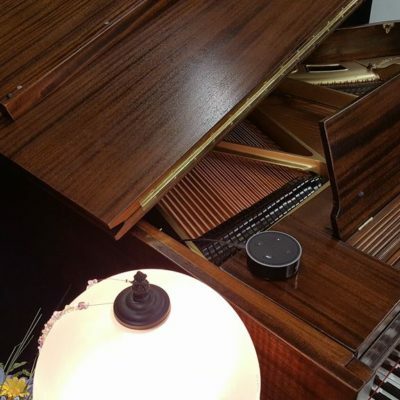 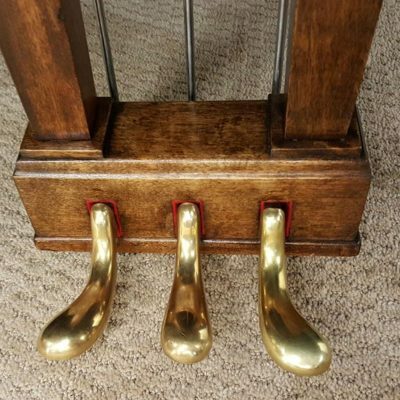 Unlike the older pneumatic player pianos, it has fully customizable volume control, and can be “turned down” to play background music, or turned up to be the center of attention at a larger event. 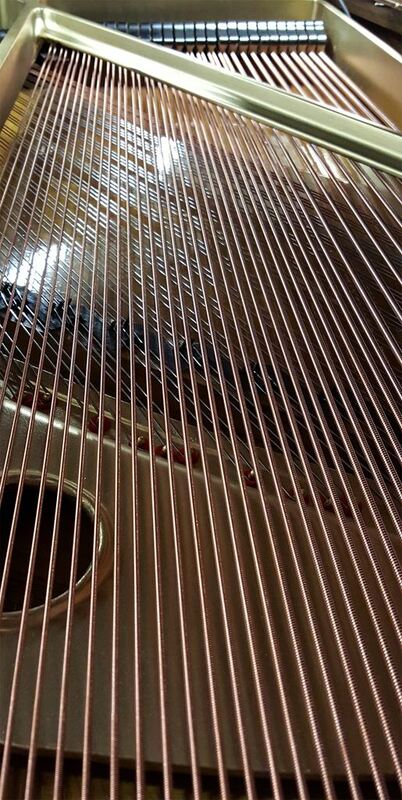 Above: The Sterling goes “rat pack” playing Michael Civisca’s rendition of “That Old Black Magic”. 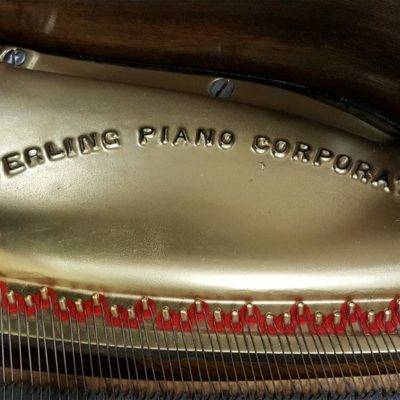 Below: The Sterling goes back to the music of when it was new, playing “Jelly Roll” Morton’s “The Crave”. 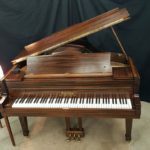 This piano truly offers best of both worlds: a top-quality piano with a top-quality sound, but with a rich history behind it, and featuring old-world craftsmanship. Contact us with any questions, or to make an offer for purchase. 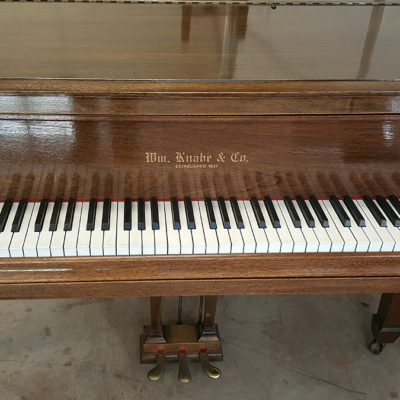 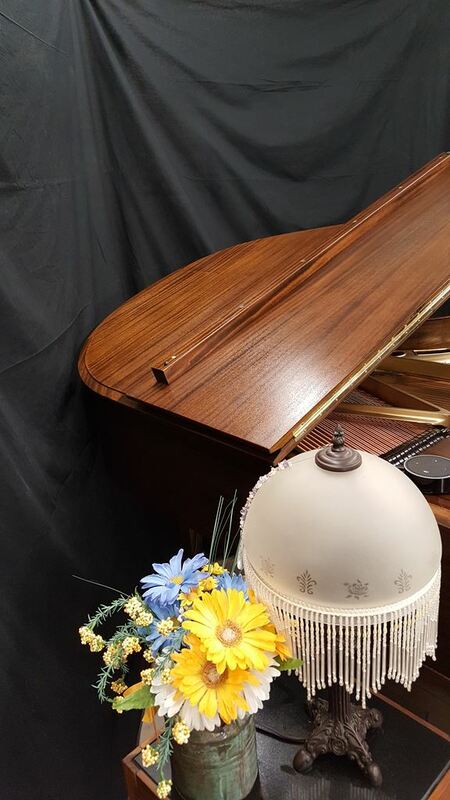 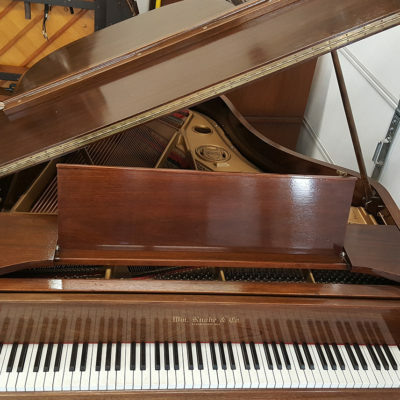 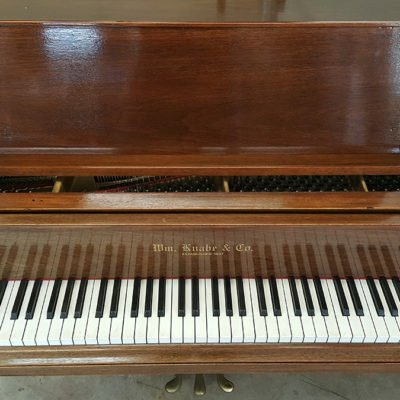 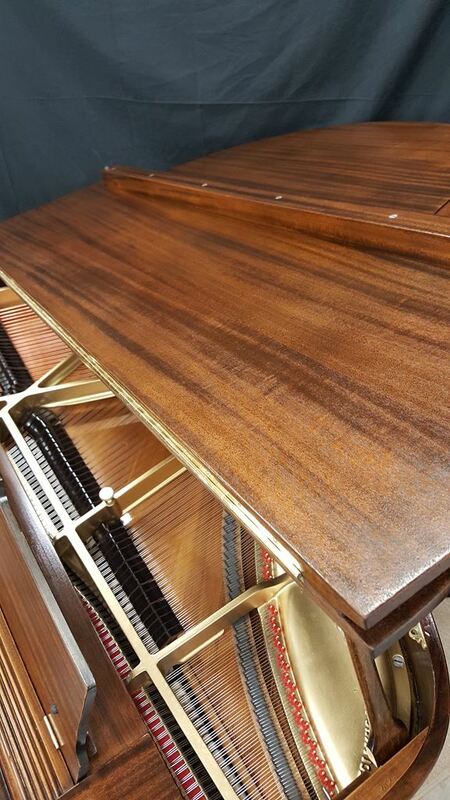 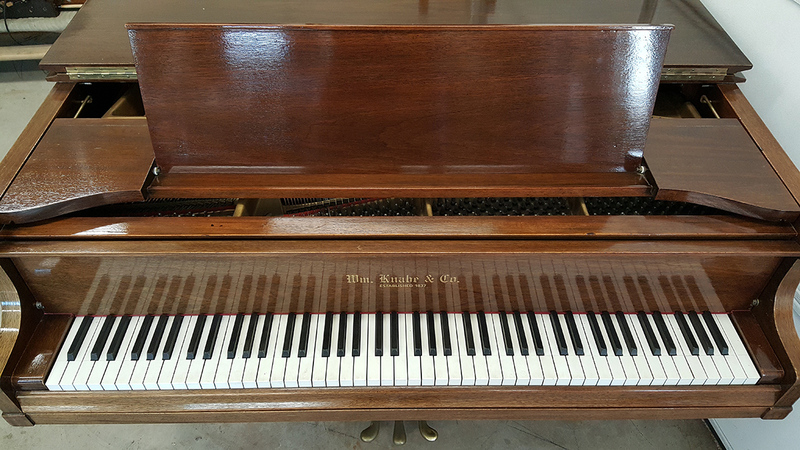 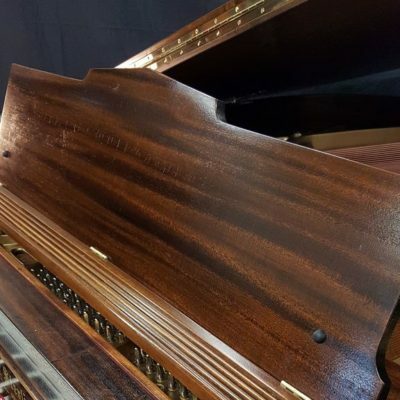 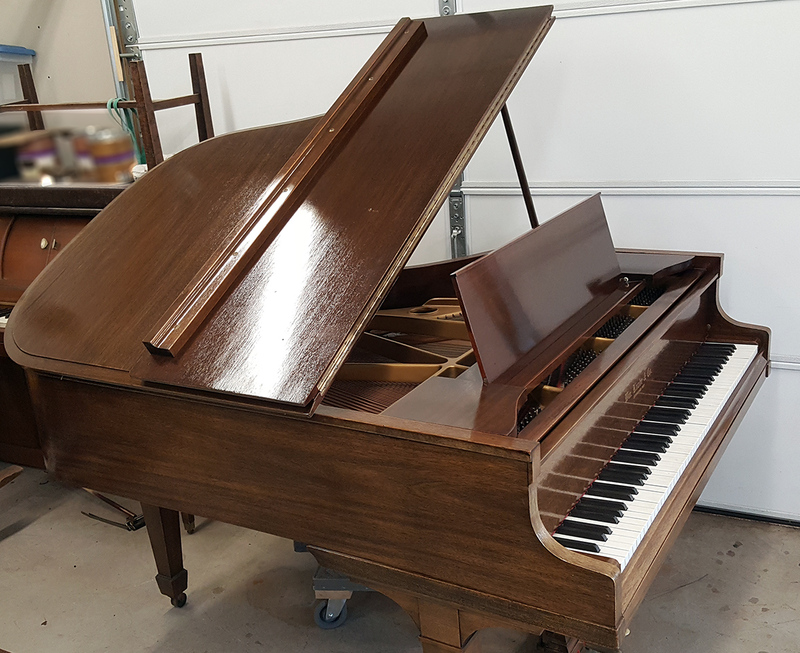 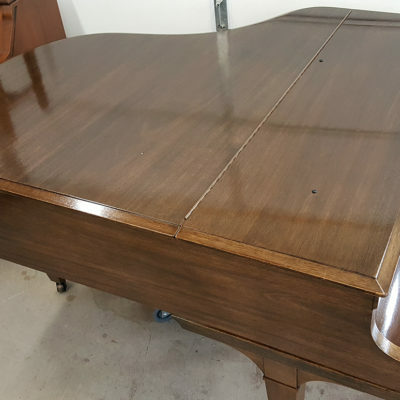 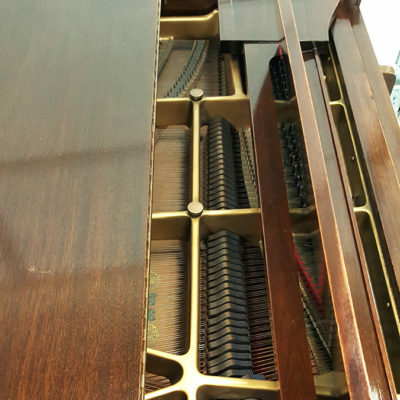 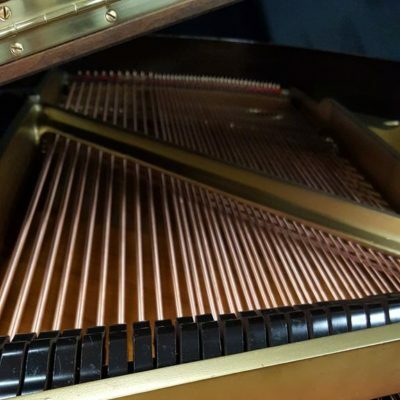 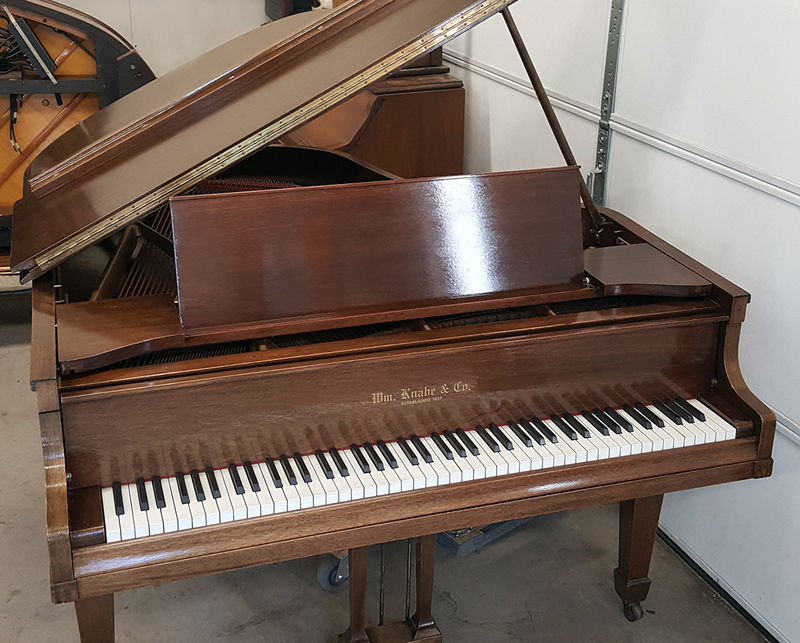 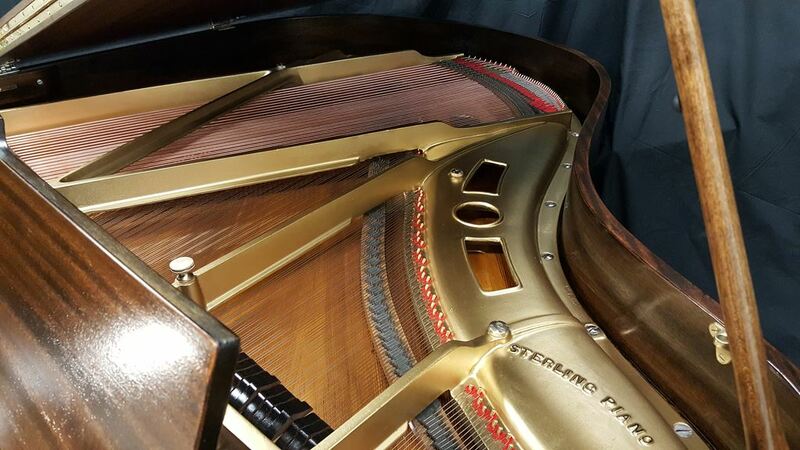 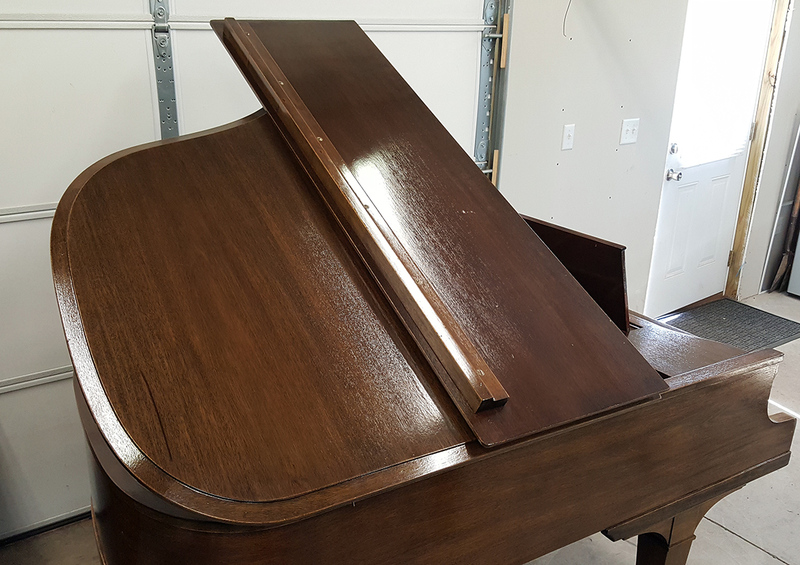 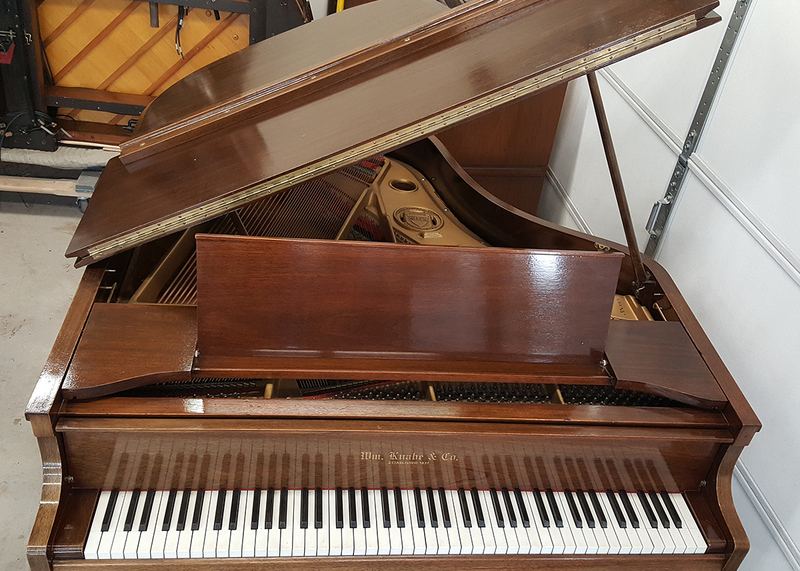 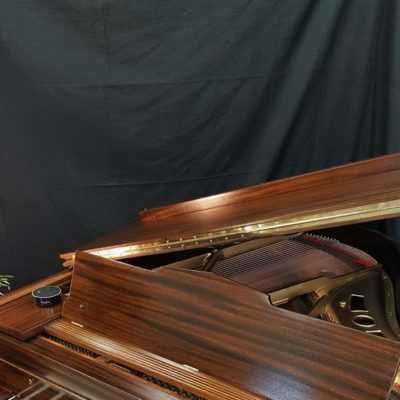 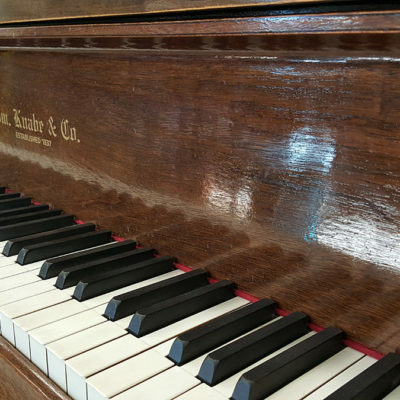 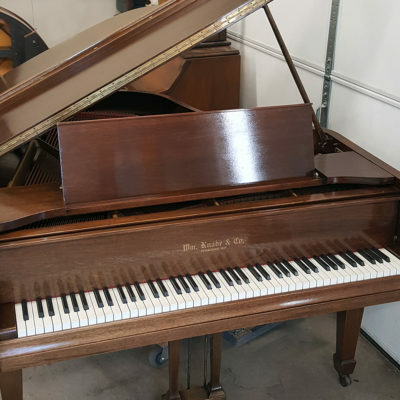 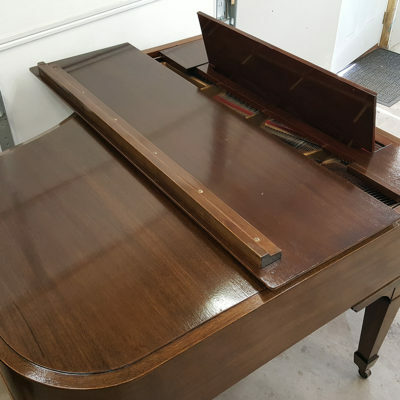 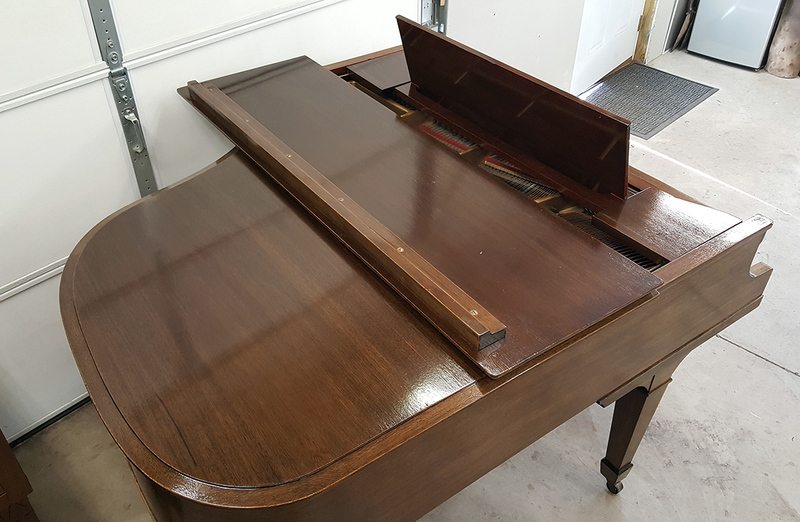 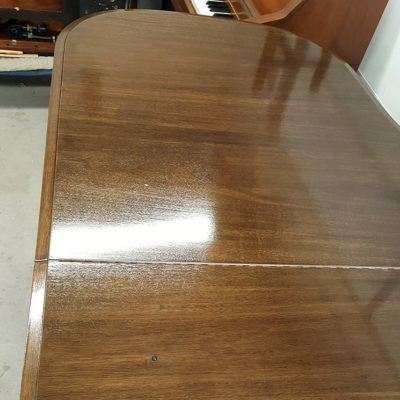 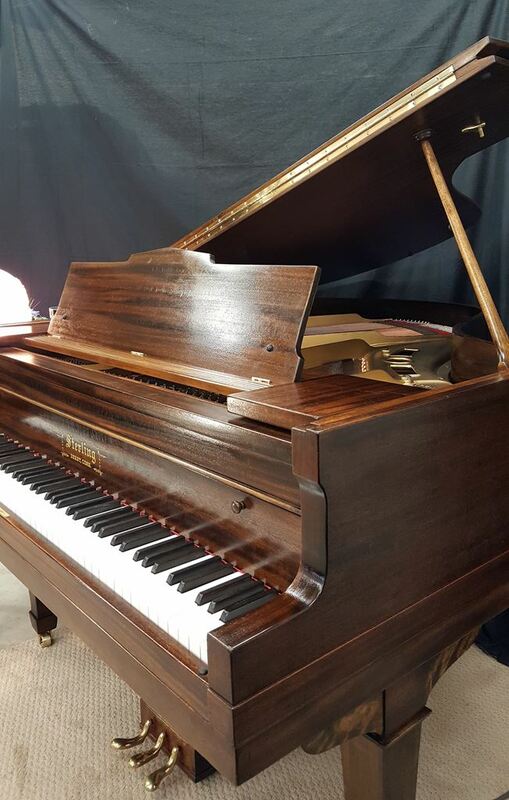 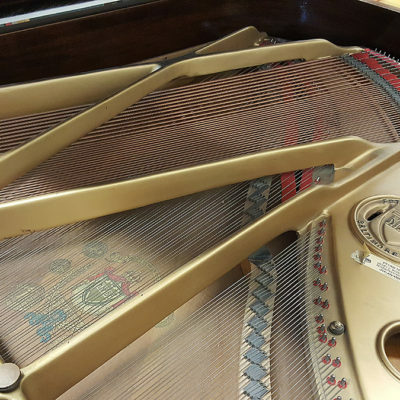 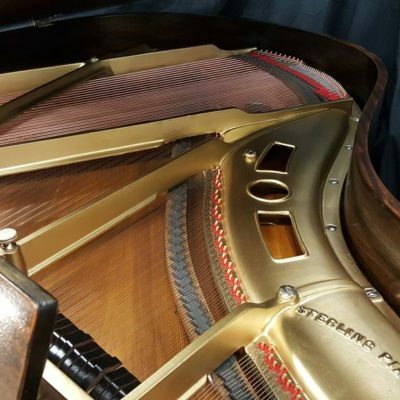 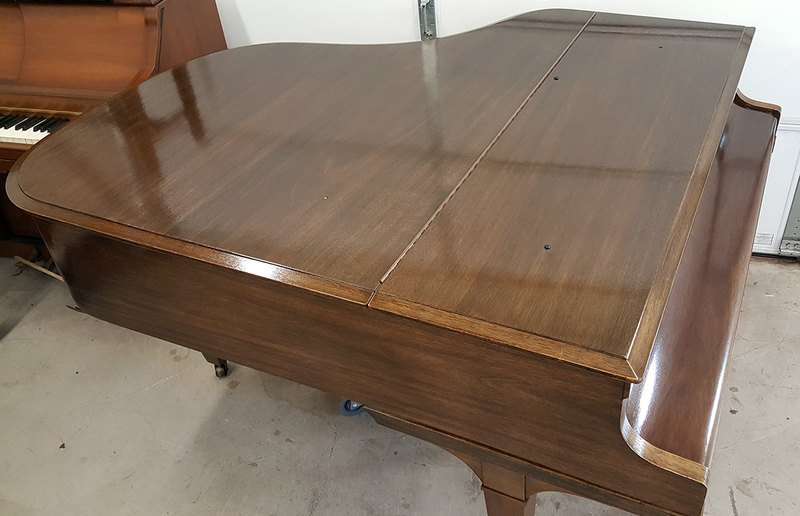 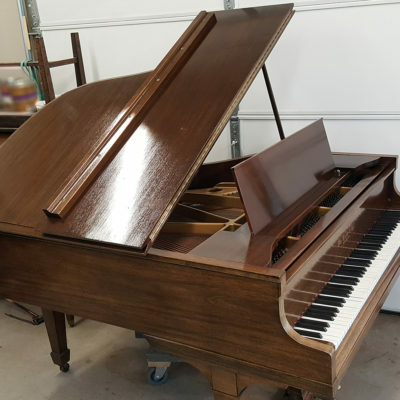 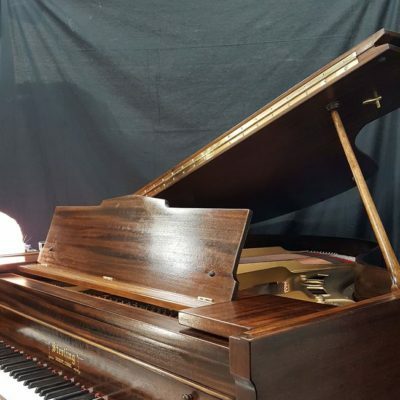 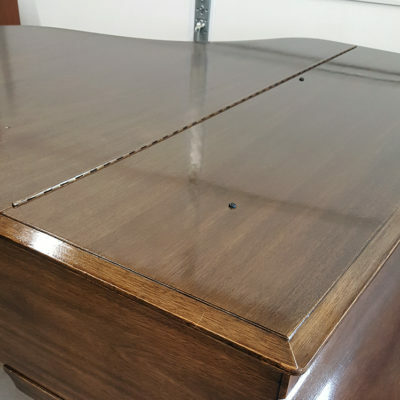 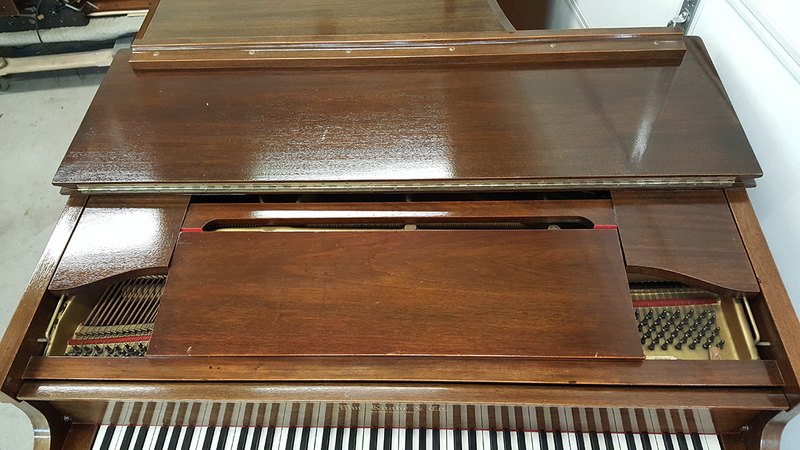 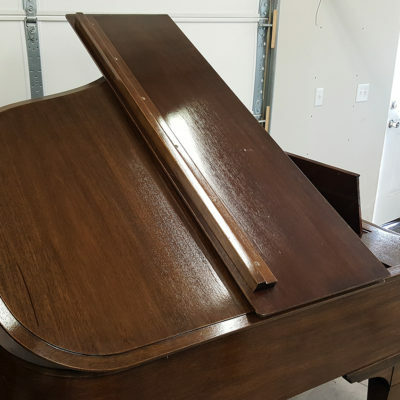 This beautiful 1927 Knabe Grand piano will soon undergo full restoration and refinishing and is available with or without the PNOmation3 Player system. 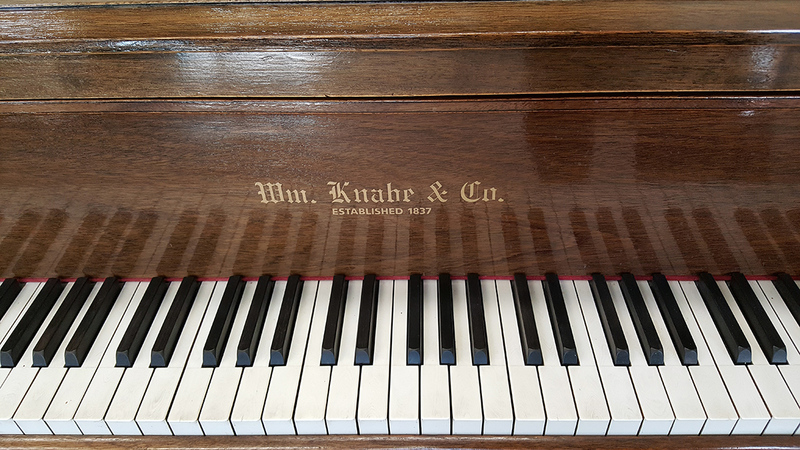 Knabe pianos were among the finest quality instruments among their contemporaries. 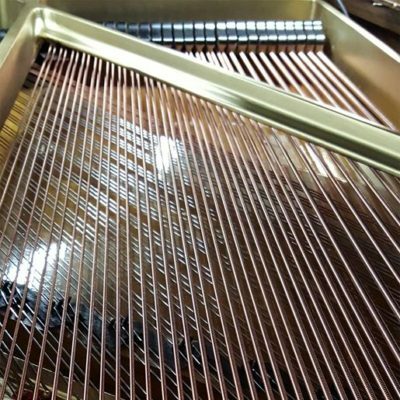 They are a particular favorite of our technicians. 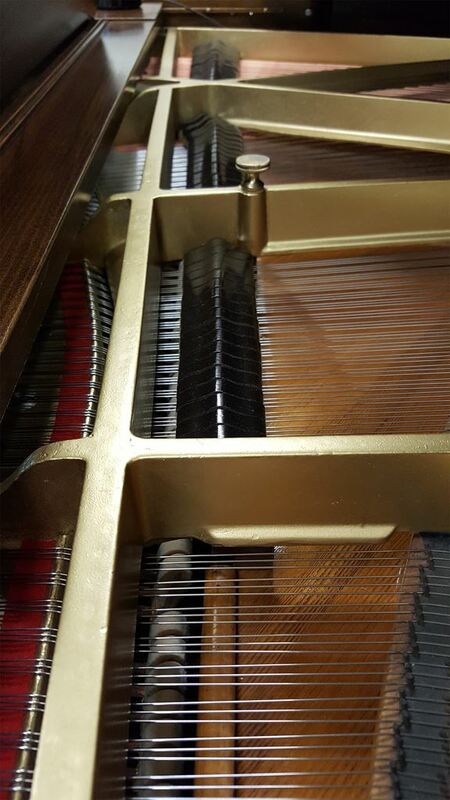 Their sound is always extraordinarily rich for their size. 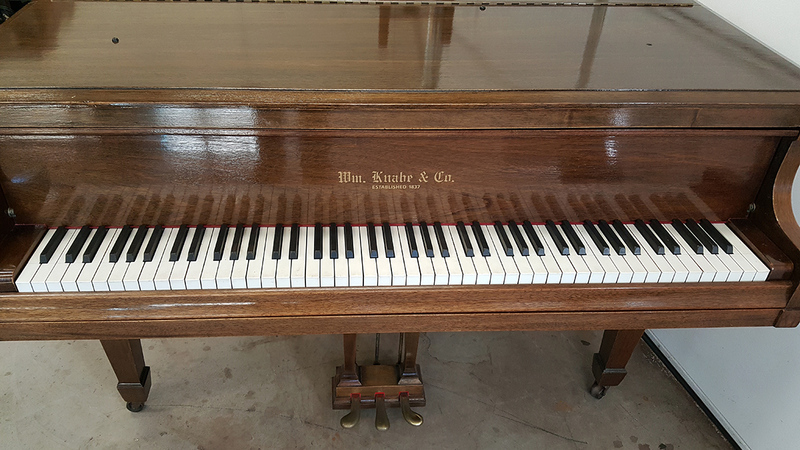 At the time this piano was constructed, Knabe literature made the bold claim that they were “the World’s Best Piano”. 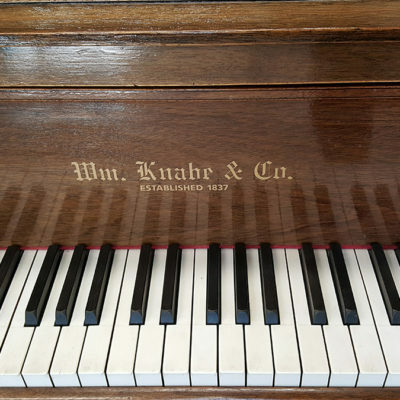 Knabe was then the official piano of the Metropolitan Opera Company. 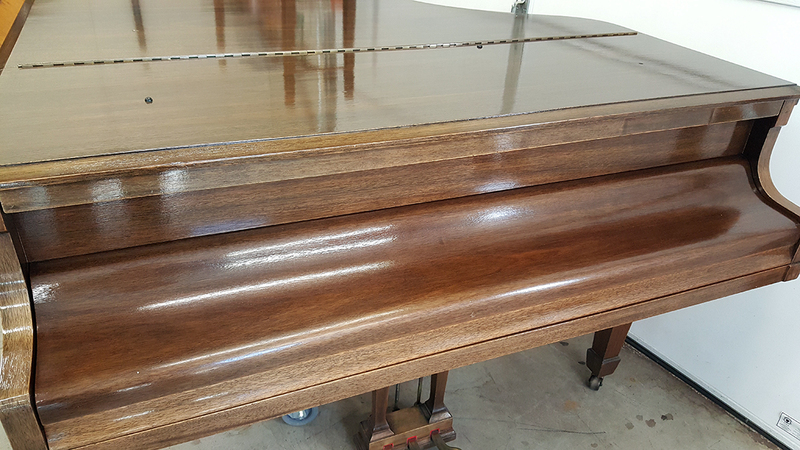 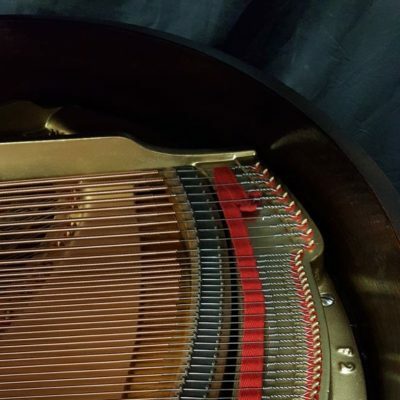 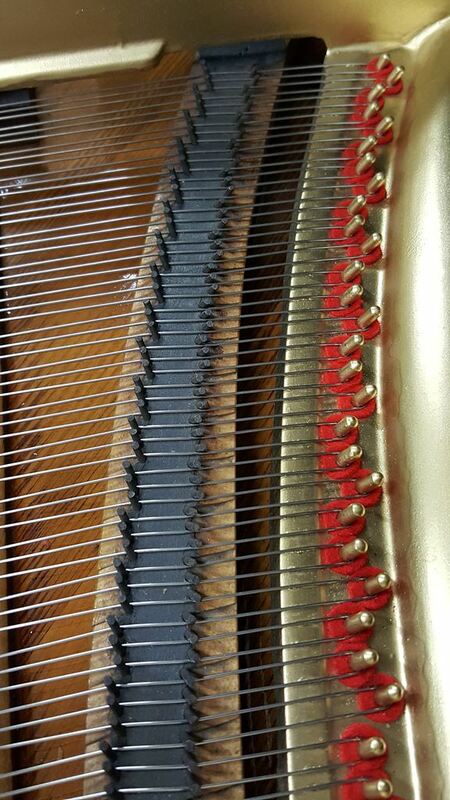 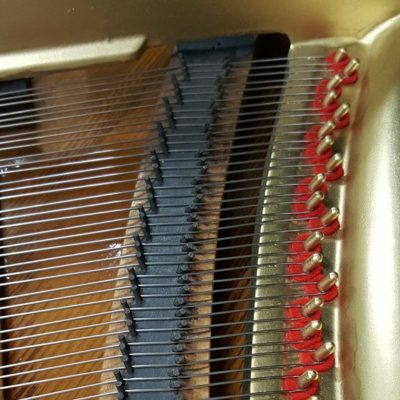 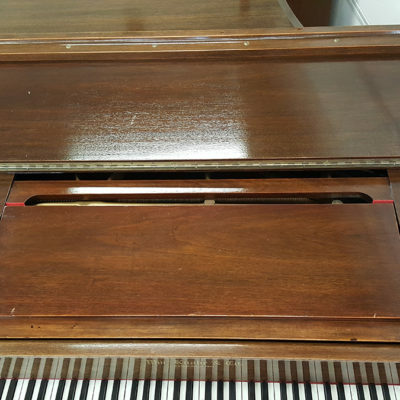 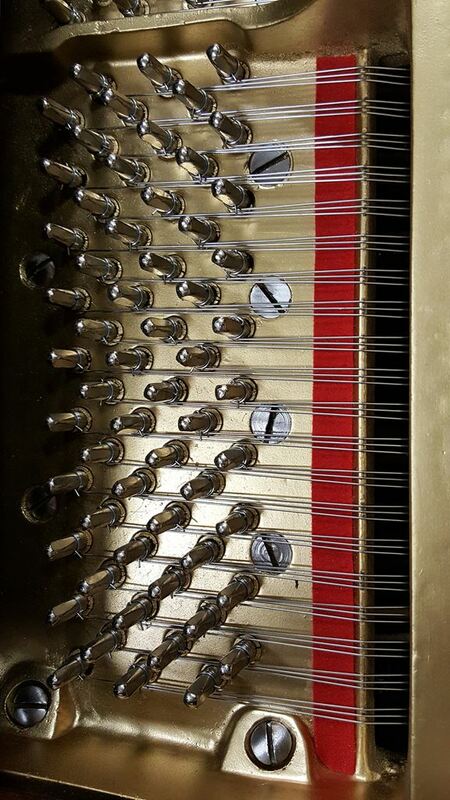 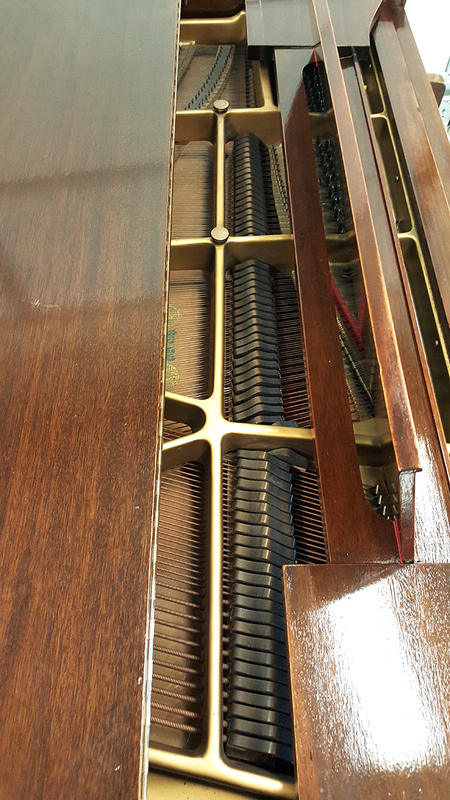 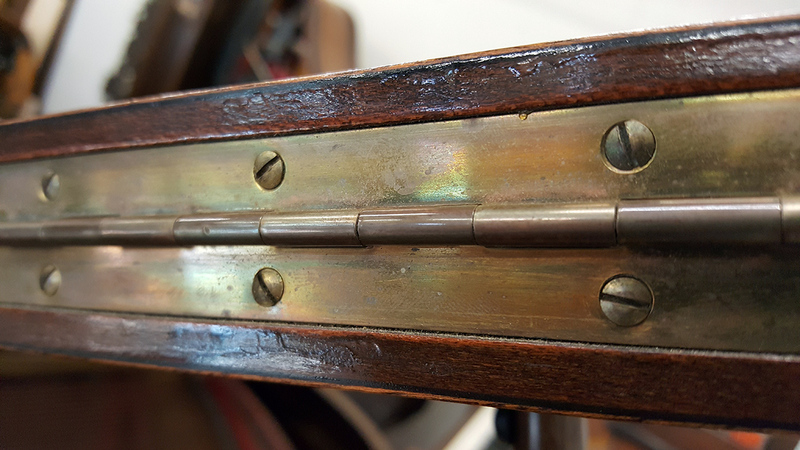 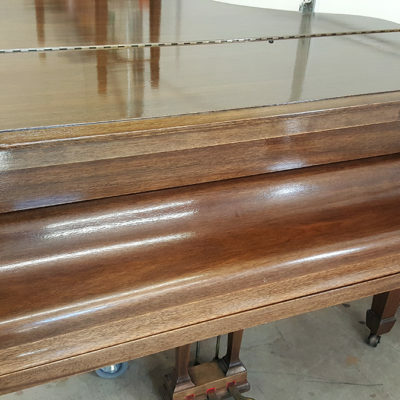 Even though the pins and strings have not yet been replaced, and the action has not been regulated, this piano has a wonderful sound, particularly in the bass section, which restoration will only enhance. 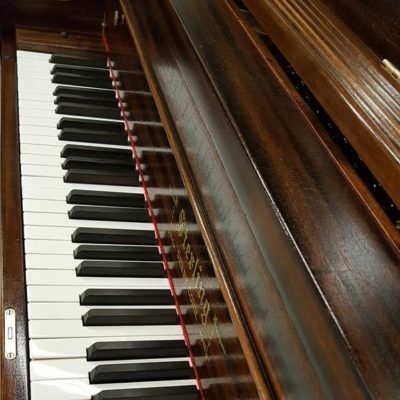 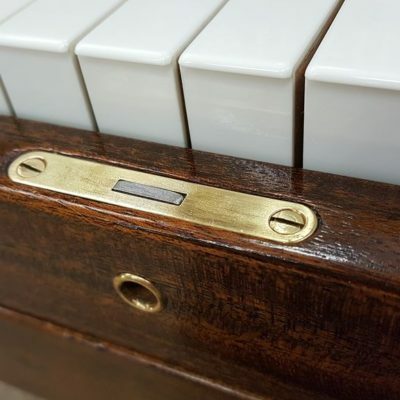 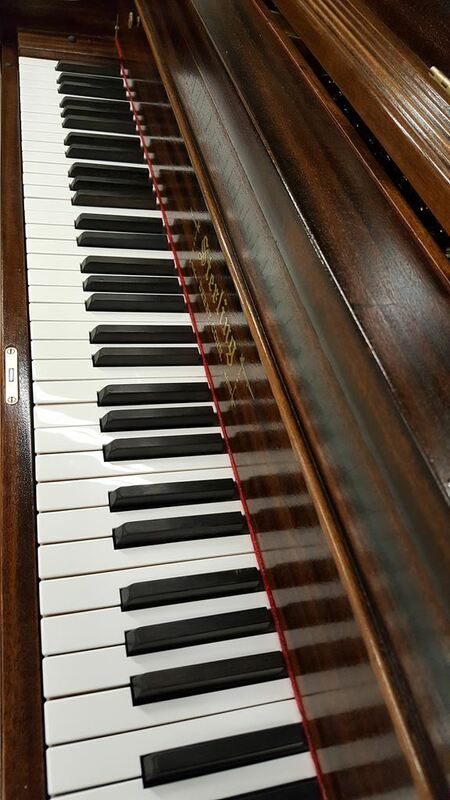 The original ivory keys are still in place, and are in very good condition for their age. 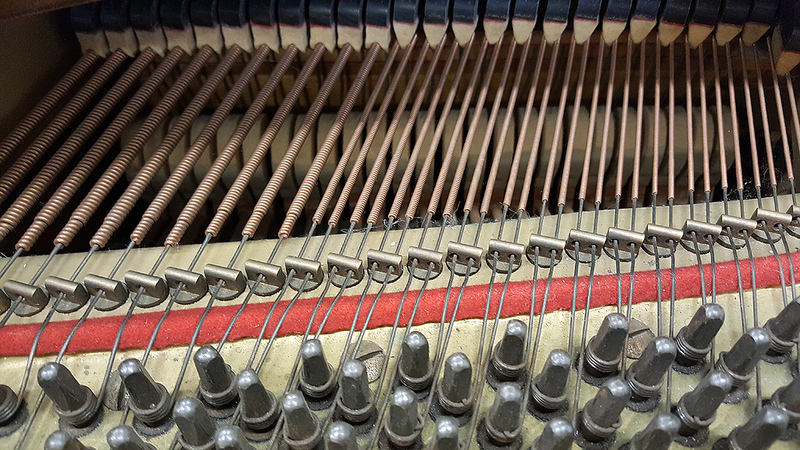 The original ivories can be cleaned and retained, or replaced with new, modern keytop material upon request. 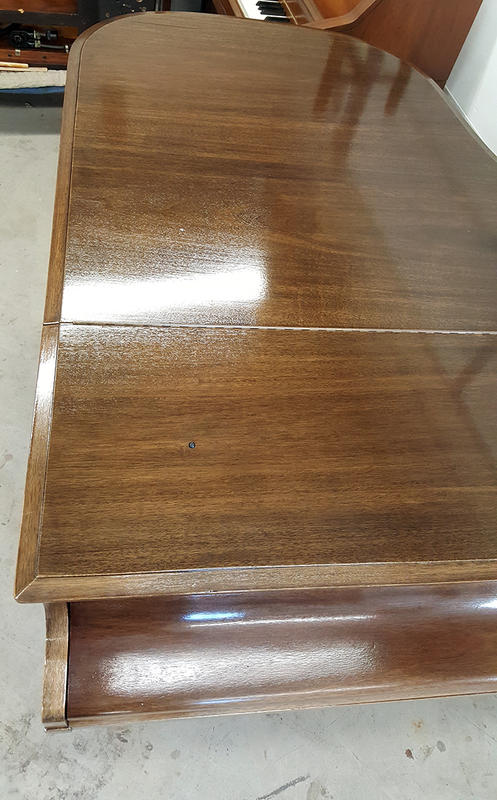 The finish seen in the photos below is not original, and will be replaced with our natural, hand-rubbed tung oil finish.